latestnews1947: The official Twitter account of Real Madrid was hacked by OurMine to announce the signing of the capital football club's eternal rival FC Barcelona's star Lionel Messi, according to reports. 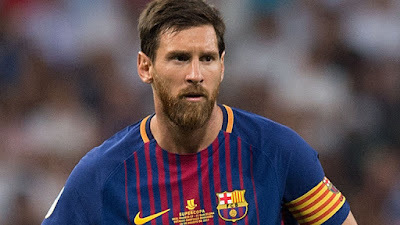 The post, which was accompanied by a video of Messi scoring for Barcelona against Real Madrid, was put up on Real's Twitter account and said: "Benvingut Messi! B!Bienvenido Messi! Welcome Messi! Bienvenue Messi! £Messi," as reported by the Independent on Saturday. The Messi signing post had more than 2,800 likes and 3,100 retweets. The tweet remained public for around 90 minutes before they disappeared from the club's Spanish and English language feeds. The incident occured after the same group of hackers took charge of Barcelona's account and announced the signing of Paris Saint-Germain winger Angel Di Maria.